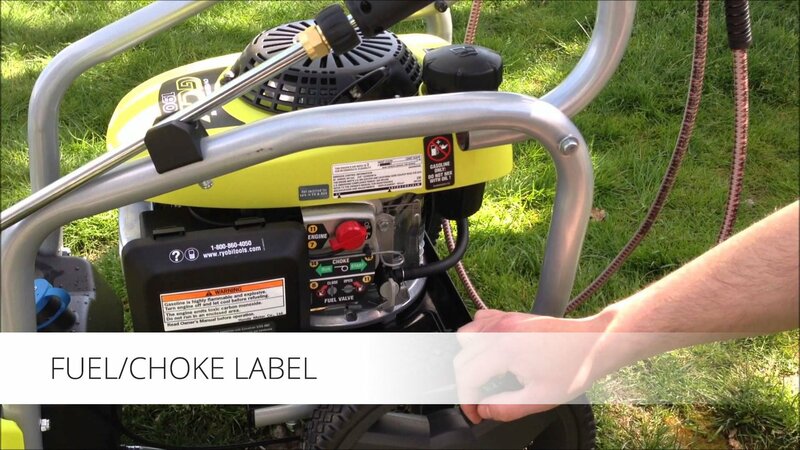 Fuel/Choke Industrial Label Solutions - Brandmark, Inc.
A specific challenge arose in regard to providing starting instructions on a gasoline engine, because the surface area available was very small. The instructions were a requirement, but a label small enough to fit on the engine would be illegible to most consumers; the available surface area was approximately half the size of the label. Brandmark engineered a solution using a thick polyester based material, which is very rigid; this enabled the top of the label to be affixed to the engine, with the bottom flagging off the edge, thus creating more space. After printing, the labels are also laminated with a clear film that protects the graphics from gasoline and oil, along with other potential causes of abrasions. The most significant part of the solution is the adhesive itself: it has the unusual characteristic of reaching its ultimate bond in a short period of time – as little as 90 seconds. Once the release liner is removed and the label applied, it is permanently bonded to the equipment and will last for the life of the equipment.